aking on your first employee is an exciting progression for your business, but the rules and regulations that go along with it can be a nightmare! Mazuma can take the headache out of your payroll by producing biweekly or semimonthly payroll reports showing how much to pay your staff and the IRS. 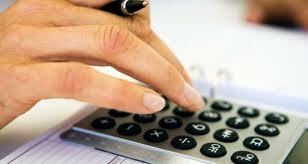 We can also initiate direct deposits, produce paycheck stubs and file your periodic payroll tax returns. We charge $20 a month for the first 5 employees and then $6 a month per employee after that. It is the employer's responsibility to withhold the proper amount of payroll taxes and submit payment to the IRS. Most of the money being withheld and paid by the employer is actually the employee's money, so it is important to handle these funds properly. Federal income taxes, social security taxes and Medicare taxes are all reported on either Form 941, filed quarterly, or Form 944, filed annually. The form you use depends on the amount of taxes that your company is withholding. Deposits to the IRS for these taxes, however, are required more frequently. Most small businesses will be required to make deposits monthly. Unfortunately, determining the amount of each of these taxes to withhold and pay is not as easy as multiplying wages times a tax rate.